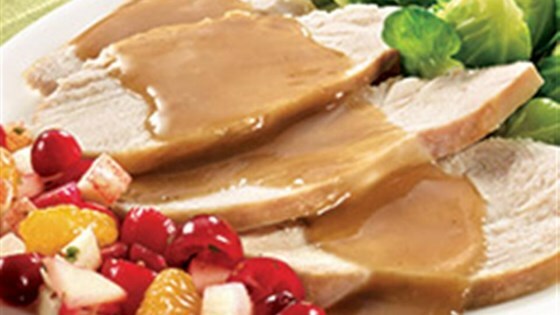 "Serve savory gluten-free turkey gravy over roasted turkey or mashed potatoes." Stir water gradually into Gravy Mix with whisk in small saucepan. Stirring frequently, cook on medium heat until gravy comes to boil. Reduce heat and simmer 3 to 4 minutes. (Gravy will thicken upon standing). This top-rated turkey gravy always comes out smooth and creamy. No lumps!